EAT A MUSHROOM, TALK TO GOD. Stay in touch, join the list. Humberto Guida takes a look at an alternative form of therapy. Directedby Oliver Quintanilla, "Little Saints" shows us how psychotherapy plants like psilocybin mushrooms and indigenous ceremonies are used to help those who are searching emotional relief. Catholic Priest gets out of the psychedelic closet. During the recordings of Little Saints in Huautla de Jimenez, I interviewed Catholic priest Jose Luis Sanchez. I wanted to know his opinion on the use of hallucinogenic psilocybin mushrooms and their relationship with the Catholic religion. New film shows the incredible power of psilocybin mushrooms To heal us, physically and spiritually. Natalia is a Shaman from Oaxaca, Mexico. 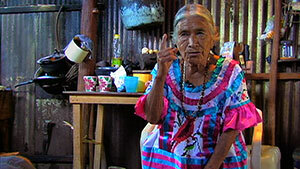 She was raised by her father, whom was also a traditional Mazatec Shaman. She received the call from God to serve at seven years old, but it was until she was an adult and a widow that she started practicing and helping others. She is a healer, a provider of spiritual guidance and energy cleansings during psychedelic mushroom rituals that help the individual to find and retrieve its soul in order to receive divine help and healing from God. Lorrie is a spiritual body worker. She grew up in Chicago and has been experiencing social anxiety and depression most of her life. As a young adult she was much the loner, she was more comfortable being invisible and had difficulties relating to others and being in groups. In her early 20’s she chose to talk to a psychologist but it wasn’t until she started working with altered states of consciousness that she started seeing progress and feeling at ease with herself around others. David grew up in Rhode Island, both of his parents are musicians, he plays the guitar and composes his own songs. At 16 years old he had a band called “Squirrel Cage” and achieved some success in the Boston indie music scene. He moved to Los Angeles to pursue a career in music, but he can’t find the motivation and feels regularly depressed. He suffers from asthma that gets triggered specially around cats. By visiting a shaman in Mexico he wishes to release his fears of failure. Jaime was born in Orange County, California. She grew up in Huntington Harbor and lives in Hollywood. She moved to Manchester, England to study sound engineering, where she met and married Tas. She has been struggling with stomach pains that usually manifest after experiencing anger or difficulties in her relationship. She has read several books about Shamanism and she feels it could lead her to understand the source of her ailments and eventually get rid of her physical symptoms. Tas was raised in Questia, Bangladesh. He went to Manchester, England to study sound engineering, where he met Jaime, within a year, they got married and moved to Hollywood. He works as an editor and a graphic designer. He is a highly emotional person and has trouble controlling himself, it has affected his marriage. He feels it is also the source of a block in his creativity, he is starving to express himself through art, but doesn’t seem to be able to break free from his internal chatter. Sergio is from Mexico. He is a lawyer and has lived in different parts of the country. He recently got divorced and went through a very difficult separation process that made him fall into a deep depression that doesn’t seem to be able to get out of. He moved to Los Angeles for his son to attend college. He left his daughter behind with his ex-wife, unable to see her, his depression got even more acute. Through a shamanic ritual he is looking forward to release himself from all negativity. Natasha is from North Hollywood, California, where she lives with her family. She has an interest in plants and animals, she wishes to find a job where she can help others and make a difference in their lives. She works as a personal assistant just outside of Los Angeles. She believes in God but not in religion, she considers herself spiritual and even though she is young she wants to be a mother. She is dealing with a personal loss and wants to come to terms with it. 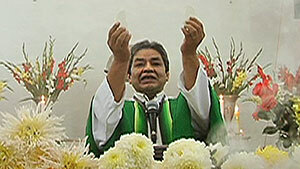 José Luis is a Catholic Priest in the Huautla de Jiménez, Oaxaca Parish. He has worked to inculturate the Catholic and Mazatec faiths in a way that both beliefs see each other eye to eye and not from superior to inferior. 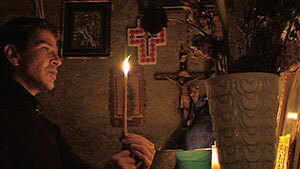 The biggest difficulty is the fact that Catholicism is based on reason and the Indigenous rituals are based on symbols. He believes it is necessary to start a sincere open dialogue with the indigenous Mazatec people in order to enrich everyone's concept of God. Jeremy is an anthropologist and writer. He grew up in Canada and Switzerland, studied history at the University of Canterbury, and received a doctorate in anthropology from Stanford University. He spent several years living with the Ashaninca in the Peruvian Amazon cataloging indigenous uses of rainforest resources to help combat ecological destruction. 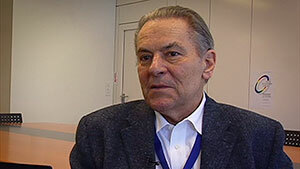 He has been working as the Amazonian projects director for the Swiss NGO, Nouvelle Planète. Charles is Professor of Psychiatry and Pediatrics at the UCLA School of Medicine and Director of the Division of Child and Adolescent Psychiatry at Harbor-UCLA Medical Center. He conducted the first government-approved study of MDMA, and was the principal investigator of an international biomedical psychiatric research project in the Brazilian Amazon of the plant, ayahuasca. 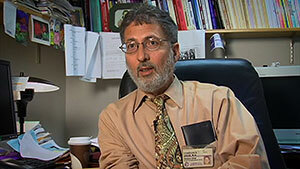 He is currently conducting an investigation of the effects of psilocybin on anxiety in cancer patients. Stanislav’s over 50 years career has covered research of the therapeutic potential of non-ordinary states of consciousness. This includes laboratory research of psychedelics - LSD, psilocybin, mescaline, and tryptamine derivatives and later research of psychedelic psychotherapy. He was Principal Investigator of the psychedelic research program at the Psychiatric Research Institute in Prague, Czechoslovakia, followed by research of psychedelic psychotherapy in the U.S.A. Growing up and living in the Chicago metropolitan area, Richard’s careers have included the practice of medicine as an Obstetrician-Gynecologist, alternative therapies practitioner, spiritual teacher and guide, adventure expedition leader to remote areas of Peru and Brazil, and writer. There’s no doubt in his mind that all illnesses are self-inflicted, that they are brought onto the self, no matter what they are, what manifests in the physical body is rooted on an energy-thought pattern. Juan works as cultural promoter, he focuses on the development of the Mazatec language in elementary schools, in the Huautla de Jiménez region. 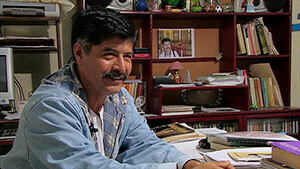 He is the writer of the 1st grade textbook in Mazatec, published by the Secretary of Public Education. He says that the Mazatec ancestral knowledge related to the use of psilocybe mushrooms as medicine, must be thought to their children. The lessons in the book put emphasis in the fact that it is a sacred ritual performed by a Shaman. 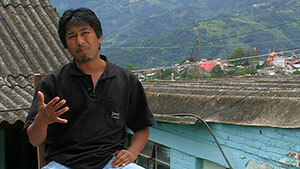 Renato works as a researcher at the Federal Commission for the Development of Indigenous People. He is one of the authors of the Traditional Mazatec Medicine Manual, in which it is established the existence of supernatural beings that look after the Earth, like its rivers, mountains and every other place. People must take care of these places to keep nature in harmony, any abuse of the natural resources reflects on a curse and negative energy that transforms into physical sickness. Oliver is Little Saints’ Director, Producer and Editor. 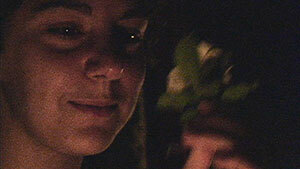 He visited Natalia for five years before she allowed him to film during an evening mushroom ritual. Then on the sixth consecutive summer he arrived with a small film crew and six individuals from the United States that were looking to relief their personal ailments. His goal was to discover if they would also achieve a positive outcome and find resolution to their physical, psychological or existential issues, like he did in the previous years. Director, Producer, Editor. Oliver was born in Mexico and emigrated to Los Angeles in his early 20’s, he worked on the camera department of several film productions. While shooting some music videos and commercials he found cinéma verité documentary films as one of his favorites styles. Oaxaca Day of the Dead was his first completed project. Then with the support of National Geographic’s All Roads Film, family, friends, associates and even some strangers it came Little Saints. Director of Photography, Camera Operator. While in college he started shooting music videos in 16mm. After graduation he got an associate’s degree in Advanced Cinematography at the International Film and TV School in San Juan de los Baños, Cuba. Back in Mexico he continued shooting music videos for renowned bands from the latino music scene. He has shot over 100 commercials and was the DP for the Mexican unit for the feature film “Sueño” starring John Leguizamo. Camera Operator. Pepe is a DP graduated with a Communication major from Tec de Monterrey. 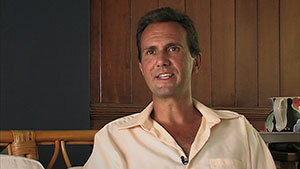 He specialized in cinematography at Rockport College in the US and at the NFTS in the UK. 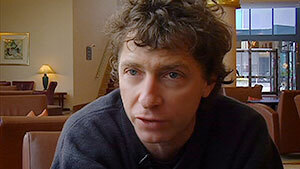 He has participated in several Film Festivals with 5 feature length documentaries. He has been shooting alternative content for MTV, Nickelodeon, Coca Cola, American Express, Comedy Central, among others. 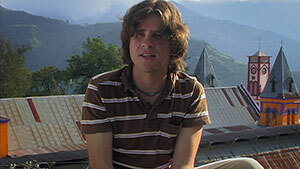 He directed "La Niña Blanca" a documentary that aired in TVE, Spain. Sound Designer, Music Composer. Ramiro studied at the "Escuela Superior de Música y Danza de Monterrey". He continued his education in Electronic Music, Composition and Sound Design. He graduated with a Social Communications major from Universidad Regiomontana. 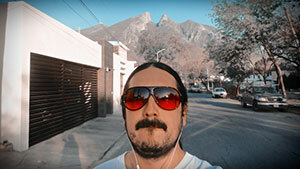 He has worked with Mexican and international production companies, as music composer and sound producer for Films, TV, Web and Radio. He currently works at his own studio in Monterrey, Mexico. 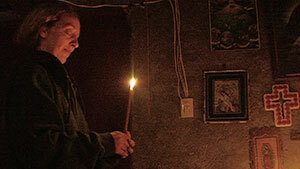 Six people travel to Mexico to meet a shaman and take part in an ancient ritual. They eat hallucinogenic mushrooms with the intention of alleviating their physical and psychological ailments.